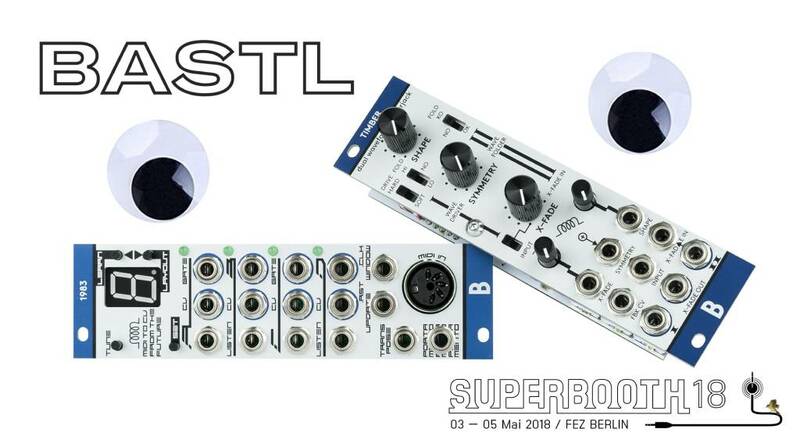 Bastl first announced the release of two new eurorack modules: the Timber – dual waveshaper and the 1983​ – MIDI to CV interface from the future with creative voice allocation and automatic tuning capabilities. 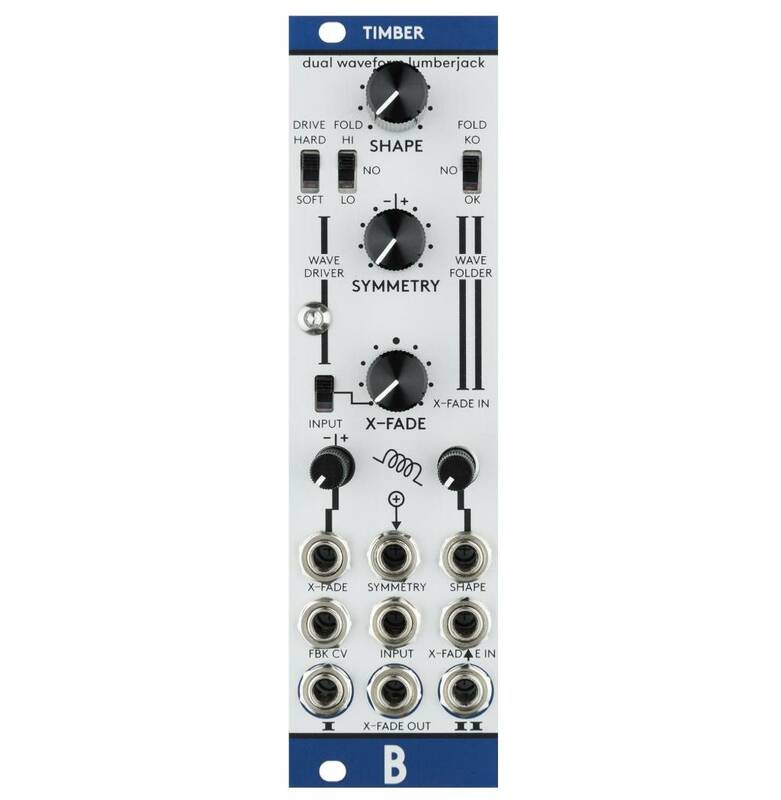 Timber​ – dual waveform lumberjack is a flexible wave shaping module that can produce rich timbres by adding harmonics to any signal. It has 2 different wave shaping circuits that are controlled by the same parameters. Both shapers are classic Serge inspired designs that have been heavily modified and enhanced with a voltage controlled crossfader. The fader can be used to fade between the two shapers or either one and the clean input signal. Timber is available now at noise.kitchen for €170 excl. tax. Currently in production, ships in July 2018. 1983​ is a polyphonic MIDI to CV interface with creative voice allocation and automatic tuning capabilities. There are 4 channels of CV and GATE outputs that can be configured to various layouts. Each channel is also able to LISTEN to the simple waveform of an oscillator and with a single press of the TUNE button it magically makes everything play in tune. The UPDATE and WINDOW inputs allow creative mangling of the voice allocation and open harmonic content to be animated in modular environment. The TRANSPOSE and GLIDE jacks open up the module for further creativity. 1983 will be available in late September 2018 for around €250 excl. tax. Next up, Peter Edwards a.k.a. 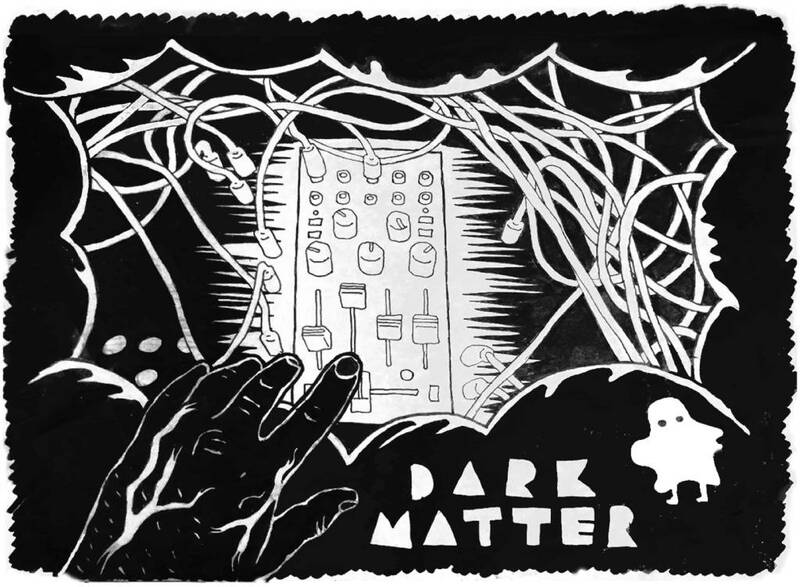 Casper Electronics will preview another Bastl collaboration on his forthcoming product line​ of Eurorack modules! At Superbooth, you will be able to see his prototypes which are highly influenced by his signature gestural performances using experimental mixer techniques with loads of feedback and overdrive. Now with everything under complex CV control and fine-tuned for modular environments. 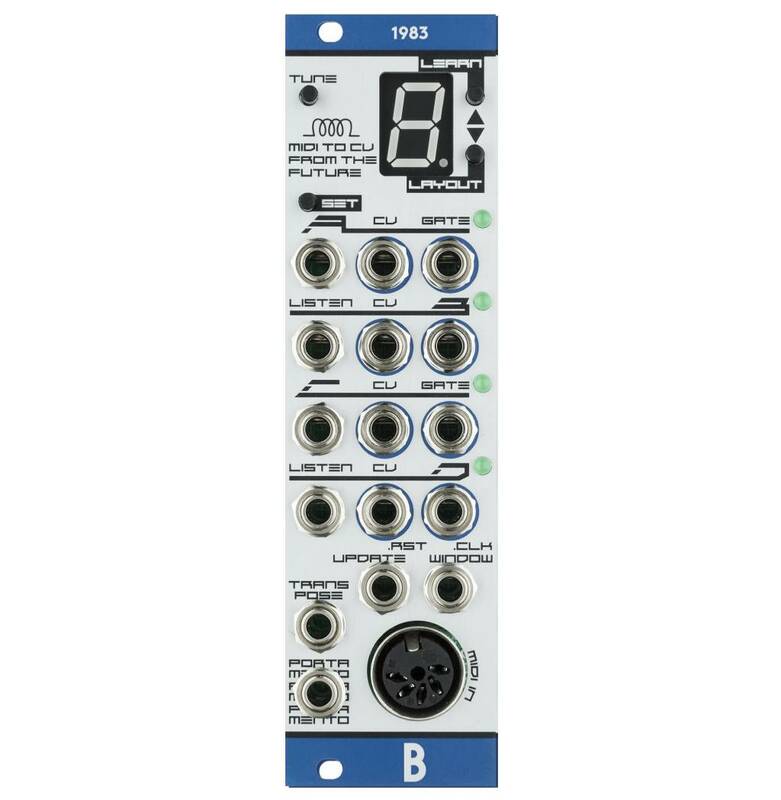 Bastl & Casper Eurorack modules will be available later in 2018. Lastly, after a long wait, the THYME​ effects processors (see our previous THYME feature) are finally being shipped. This certainly is the most advanced instrument Bastl have ever created and it opens huge sonic possibilities of real-time sound manipulation. Thyme is available now and ships for €439 excl. tax, thru Bastl dealers.